There’s your usual youth-boosting, then there’s Tata Harper – a revolution in skin care that harnesses the potency of natural and organic ingredients, to breathe new life into dull, ageing, lacklustre complexions. This brilliant Boosted Contouring Serum firms, lifts and tones all layers of your skin, with six supercharged (super-natural!) active to grant skin a more ‘lifted’ look in mere minutes. It’s perfect for making skin looking instantly younger and more luminous before a big event, and to gradually deliver a sustained improvement in the tone, texture and vibrancy of your complexion. 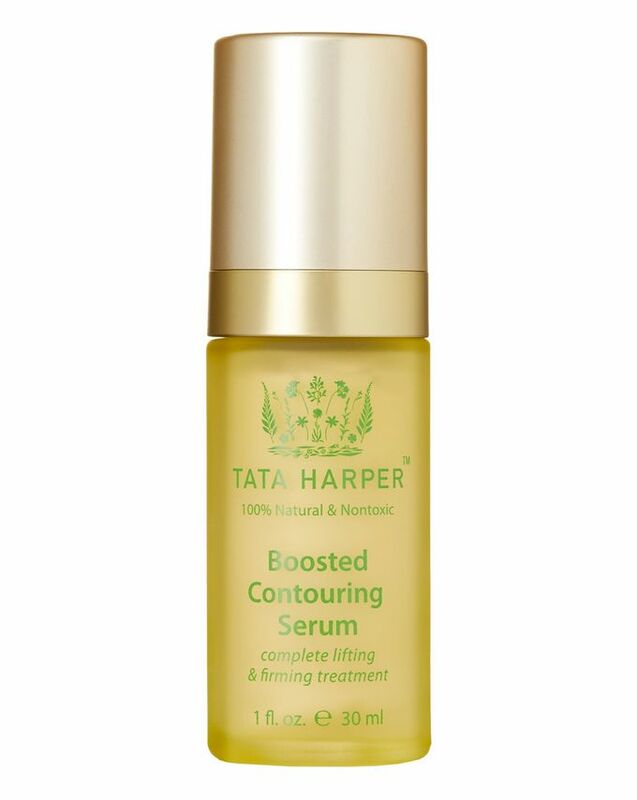 Developed to firm, lift and tone all layers of the skin without one single synthetic ingredient, Tata Harper’s Boosted Contouring Serum marries the award-winning, age-defying power of Rejuvenating Serum with six supercharged actives to grant skin a more ‘lifted’ look in just five minutes! It stars brown algae extract – to restore cell functionality and improve skin’s overall firmness and tone; menyanthes trifoliata and date palm extract to help synthesise, protect and transport collagen into the dermis; spanish lavender to inhibit muscle fibre contractions and reduce the appearance of wrinkles; goldenrod extract to enhance collagen tensing resulting in tighter, firmer skin; orange blossom peptides to trigger new collagen formation; hydrolised rhizobium – polymers which form a network on the skin’s surface which tighten and help decrease wrinkle depth, L-Ornithine Ionosome which reduces the appearance of structural ageing by firming the subcutaneous fat pad, plus fifteen other active ingredients. With effects that are both immediate and cumulative, 81% of volunteers saw a tightening effect almost immediately, while 80% of volunteers noticed a significant reduction in jowls over the course of 28 days. Use daily each morning and evening. Apply two pumps of the Boosted Contouring Serum over your entire face and neck. Fully massage serum into skin of the face, chin and neck with upward sweeping motions. This is your most important anti-ageing step. For best results, apply directly after the Hydrating Floral Essence, when skin is damp. This serum - with the potency of natural and organic ingredients - will actually deliver an improvement in the tone, texture and vibrancy of your complexion. I’ve used several bottles of this stuff, now: fortunately, a little goes quite a long way, so I can just about tolerate the expense! I’ve tried a lot of contouring type products since I hit my early forties but this is the one that consistently delivers for me. 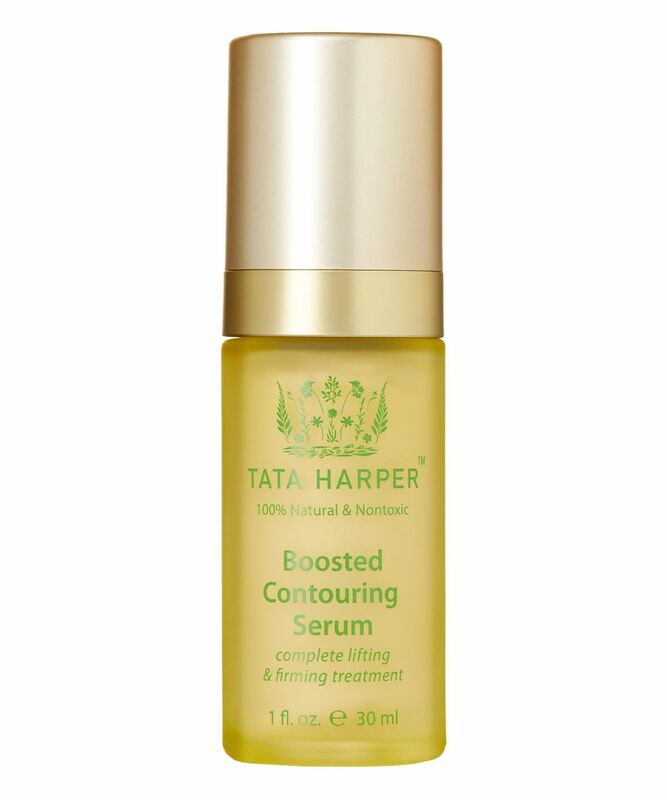 Tata’s Contouring Serum is lightweight, smells gorgeous, definitely lifts, firms/tightens and also delivers a rather lovely shot of glowy energy to my skin. It’s not quite the multitasker that the elixir is, as I do still need to use a moisturising serum and/or cream but honestly, other than the elixir, this is the best contour-type product that I’ve found, so far. Tata Harper products are the ones that I constantly go back to for my sensitive skin. This contouring lotion is lightweight but does what it says without irritation. Firming and lifting and you can layer with other products. I have older skin but have noticed a significant difference using this product and others in her range.